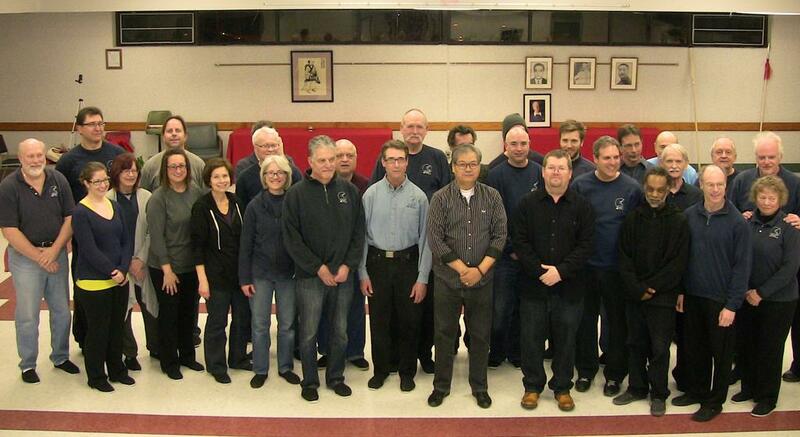 The Detroit area Michigan Tai Chi Chuan Institute (MTCI) was once again pleased to host grandmaster Eddie Wu Kwong-yu for four days of seminars, March 20th, 21st, 22nd & 23rd, 2015 in Madison Heights, Michigan. 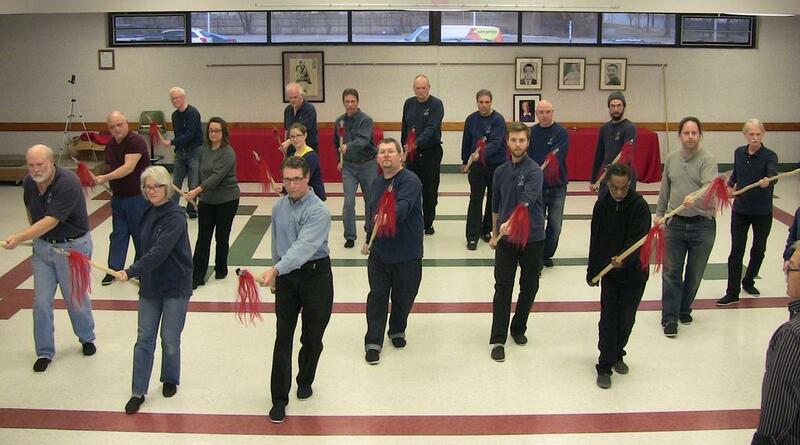 Grandmaster, assisted by MTCI senior instructors Michael Ashmore, John Marchewitz and Sam Purdy, presented 5 hours each day for 20 advanced students to learn the Wu style 13 Spear forms and applications on Friday the 20th, Saturday the 21st, and Monday the 23rd. Grandmaster Wu also presented an 8 hour seminar for all of the students on Sunday the 22nd. This seminar included refinement work for the Tai Chi ruler, in-depth practical explanation for the forms Grasp Bird’s Tail, Single Whip, Cloud Hands and more. Grandmaster also reviewed and upgraded Wu style’s breathing technique (chi kung or qigong) for the students in attendance. Each student once more had individual attention from grandmaster, and the program for the seminars was warmly received by all. The MTCI students and faculty would again like to sincerely thank grandmaster Eddie Wu for his time and his care, and we look forward to seeing him again soon.